What to wear in Cuba? What should I pack in general? We like to offer simple advice for this question. 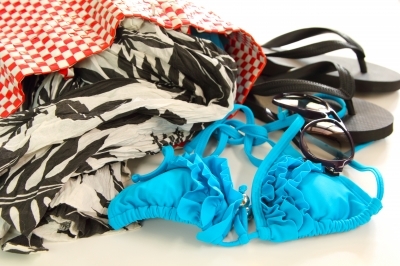 Our recommendation is that you wear and pack what you normally would for a 7 night trip to any Caribbean type destination, which means plenty of warm weather clothing and accessories! For all daily activities, including restaurants, shorts will be fine. The temperature here can get pretty hot during the day, after all! When going out to shows or nightclubs, Cubans are known for dressing up very well, and so you may want to pack a nice outfit or two for such an occasion too. If you do take in a show or other event in the evening, long pants or a summer dress work well. As for general things to bring: hotel rooms will have hair dryers for your use, so you won't need to worry about bringing your own. The basics that we recommend include: a small umbrella, walking shoes, sun block, bathroom sundries, and at least one bathing suit if you like the water. We’re not saying you can’t get any of these items there, but the cost will be much higher if you do!